The Italian great Alessandro Nesta not only influenced Italian soccer in a permanent way but has also cemented an incredible defensive legacy – one which can’t be matched according to many soccer analysts. Affectionately referred to as ‘Sandro’ by many, he is those rare breed of soccer players who managed to win pretty much everything under the sun as a player, and he did it with a load of poise and panache. He redefined the art of defending, making it into an art with creative and awing slide tackles, distribution and marking of opponents – all with perfect timing and grace. Nesta is considered to be one of the best centre backs of all times, and also one of the greatest defenders the sport has ever seen. Post retirement he us the head coach of the North American Soccer League team Miami FC. Born in Rome, Italy in March 1976, at a tender age of nine Alessandro Nesta was already part of Lazio’s youth academy and making his mark. He was soon playing professionally for Lazio by 1993 and captaining the team by 1997. In general Nesta may be known as an AC Milan player but Lazio always remained his first home and his first love. He spent a whopping 17 years with the blue jersey, out of which 6 of those were as captain. His talents were recognized quite soon but he stayed faithfully with his club for a while honoring his contract commitment. Nesta eventually joined AC Milan for a ground breaking 30 million EURO deal – and he was worth every single dime. The reason Nesta stood out then and is a role model today for many soccer lovers and players is his unique ability to give it his all in the field and at the same time keeping a low, respectful profile in the public eye. He was the epitome of an ideal soccer legend. Nesta spearheaded the Italian side to the 2006 World Cup and the Euro 2000 final. He was a member of the Italian team for a decade from 1996 to 2006 – earning 78 caps in total. On the international front he competed in the 1996 Olympics, three UEFA European Championships and three FIFA World Cups – which is quite a remarkable achievement for any soccer player. Nesta’s name became synonymous with blockbuster tackles and he lifted the art of defending – which before him was often referred to as a dirty and messy tactic. 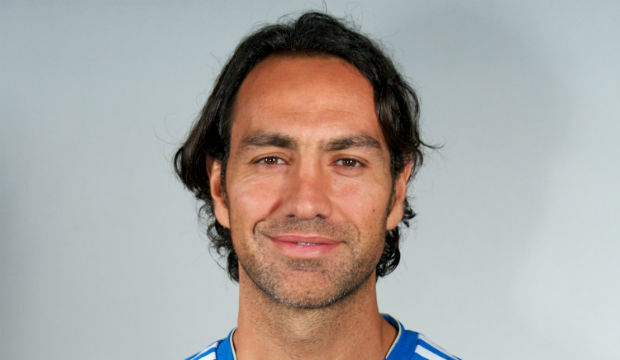 A string of injuries forced Nesta to retire from soccer in 2014, though within a year from hanging off his soccer boots he found himself stateside coaching the Miami FC team. The La Gazzetta dello Sport has hailed Nesta as the ‘last true great Italian defender’. In 2004, he was named as one of the the Top 100 greatest living footballers as part of FIFA’s 100th anniversary celebration. Other accomplishments include being a World Cup champion, two-time Champions League winner and three-time Series A winner.